Being a muckracking political writer often makes me feel like a custodian in a horse barn, constantly shoveling manure. It's a messy, stinky job — but on the bright side, the stuff is plentiful, so the work is steady. Indeed, I'm now a certified Equine Excrement Engineer, having developed a narrow, but important, professional specialty: cleaning off the horsestuff that careless politicos and sloppy media types keep dumping on the word "populist." —When right-wing, anti-Muslim mobs in a few European nations literally went to their national borders to block desperate Syrian war refugees from getting safe passing into Europe, most mainline media labeled the boisterous reactionaries "populists." —When flummoxed elites in Great Britain, frantic over Brexit, blindly blamed their people's vote to exit the European Union on the "populist" bigotry of working-class Brits. —When, back in the USA, the unreal reality show The Donald spooked the corporate/political establishment, which denied that Trump harness public fury toward them smugly attributed his rise solely to "populist" bumpkins who embraced his demeaning attacks on women, Mexicans, Muslims, union members, immigrants, people with disabilities and veterans, among others. Indeed, the power elites sneeringly branded Trump himself a "populist." Excuse me, but if that bilious billionaire blow hard is a populist, then I'm a contender in his Miss Universe contest. Populism is not a style, nor (and this is important to note in this moment of The Donald) is it a synonym for "popular outrage." Populism is a historically grounded political doctrine that supports ordinary folks in their ongoing democratic struggle for power over their own lives. This past June, I was pleasantly surprised that, out of the blue, a major player in this year's presidential race gave me a big helping hand in cleaning the manure off the democratic ideal of genuine populism. "I'm not prepared to concede the notion that some of the rhetoric that's been popping up is populist," said my fellow scrubber. He added that a political doesn't "suddenly become a populist" by denigrating people of other races, cultures, religions, and nations. "That's not the measure of populism. That's nativism or xenophobia or worse. Or it's just cynicism. So I would just advise everybody to be careful about suddenly attributing to whoever pops up at a time of economic anxiety the label that they're a 'populist.' Where have they been? Have they been on the frontlines for working people? Have they been [laboring] to open up opportunity for more people?" You tell 'em Bernie! But wait — that wasn't Sanders. It was Barack Obama delivering an impromptu tutorial on populist doctrine at a June 29 press conference. While the incitement of anti-immigrant prejudice for political gain is shameful and socially explosive, it is certainly not new or uncommon in our country. Nor is it unbeatable. For more than two centuries, the U.S. has experienced periodic eruptions of such ugliness from within our body politic, yet generations of Americans have successfully overcome the xenophobic furies of their times by countering the bigotry with our society's prevailing ethic that all people are created equal — and after all, almost all of our families came from somewhere else. 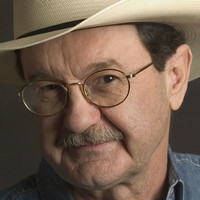 To find out more about Jim Hightower, and read features by other Creators Syndicate writers and cartoonists, visit the Creators Webpageatwww.creators.com.